I am not one to ever pass up an opportunity to bemoan the fact that my wife Karen fractured her leg on our last wine trip and we had to cut our trip short. … so nope, this is not an article about our travels. Rather, Along The California Wine Trail is a book, although it is definitely more than that. Written by Jerry Stroud, the book showcases California’s major American Viticultural Areas [AVAs]. Presented along with the “retro realistic” artwork of Kerne Erickson, Jerry does not present a technical tome [there are plenty of those] but rather shares his own personal stories of visits to California’s varied wine regions. Karen and I had the opportunity to attend the artist’s reception and book launch of Along The California Wine Trail: Exploring California’s American Viticultural Areas on November 4th at George Stern Fine Arts in West Hollywood, CA. Both Stroud and Erickson were present to discuss their work and to sign books for a roomful of eager attendees. In addition, Erickson’s original artwork of all the paintings included in the book adorned the walls of the gallery. Karen enjoyed viewing the actual paintings and reminiscing about our own travels. She also pointed out a couple of AVAs that we haven’t visited as of yet and that we need to. Free flowing wine and tasty appetizers contributed to the atmosphere of actually being in wine country. More than one person commented to me that Erickson’s artwork was inspiring them to want to plan a visit to wine country, especially to one of the AVAs that they might have had less familiarity with. One of the wines available for sampling was the delicious 2016 Chardonnay from Bacigalupi Vineyards in the Russian River Valley. The family purchased the vineyard property in 1956 but only started making Chardonnay under the Bacigalupi name in 2011. Author Jerry Stroud points out in the book that fruit from this Sonoma County vineyard made up a significant portion [40% per the winery’s website] of the 1973 Napa Valley Chardonnay from Chateau Montelena. 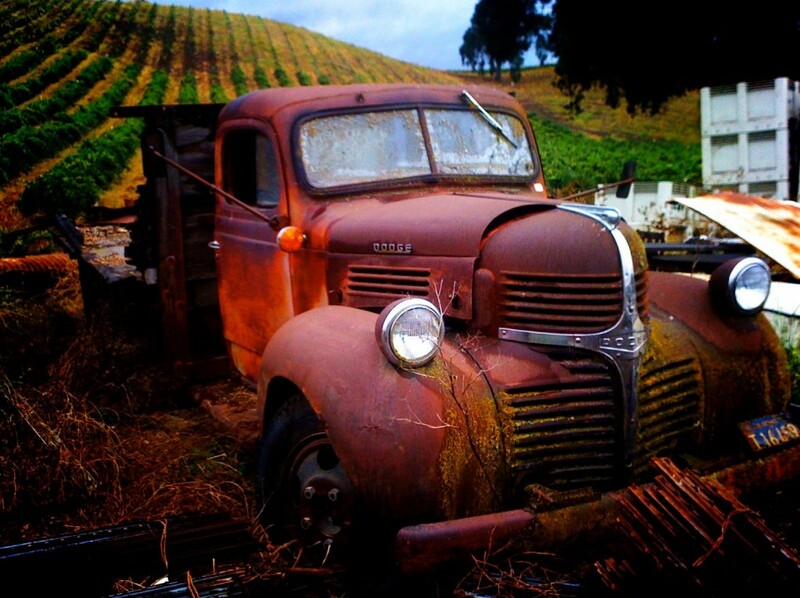 Perhaps you’ve heard of this wine – it won the Judgement of Paris in 1976. It is stories like this in the book, where Stroud shares his personal experiences and champions the causes of the families who built the wine regions, that make the book extremely compelling. Divided into five chapters representing the main AVAs in California [Sierra Foothills, North Coast, Central Valley, Central Coast and South Coast], Stroud tells personal tales of his experiences in the various sub-AVAs that we know and love, all interspersed with Erickson’s masterful artwork. I certainly felt that I had found a kindred spirit in Jerry Stroud. The book and prints are for sale on the Along The California Wine trail website. 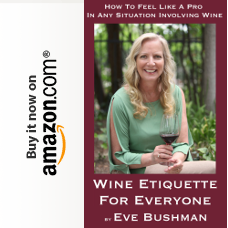 I’m also told the book should be available in certain winery tasting rooms. There are plans for a second extended printing that I am really looking forward to, but in the meantime this will do just fine. 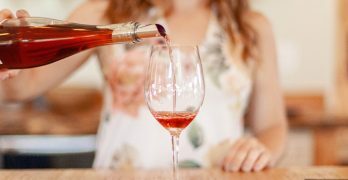 Santa Rosa, Calif. – From the heart of North Coast wine country, Vineyard & Winery Management magazine (V&WM) and The Press Democrat have concluded the fourth annual North Coast Wine Challenge, a wine competition focused exclusively on wines produced in this prestigious region. Wines were judged from a field of nearly 1,050 entries. In the good nature of competitive spirit and ultimate bragging rights, this challenge rated wines produced and bottled by wineries with grapes grown only in North Coast AVAs. The challenge was created to highlight the best of each county and ultimately, the entire region. The North Coast served as its own jury in the decision-making, with competition judges representing the best sommeliers, winemakers, retail buyers and media.Top wines received prestigious rankings of Best of Class by Category, Best of County, and ultimately one wine took the Best of the Best Award. This year’s highest honor went to Westwood Estate, 2014 Sonoma Valley, Annadel Gap Vineyard, Clone 37, Pinot Noir receiving 99 out of 100 points and taking home the Best of Show Red, Best of Sonoma County and ultimately the Best of the Best. Judges described it as “an absolute stunner. 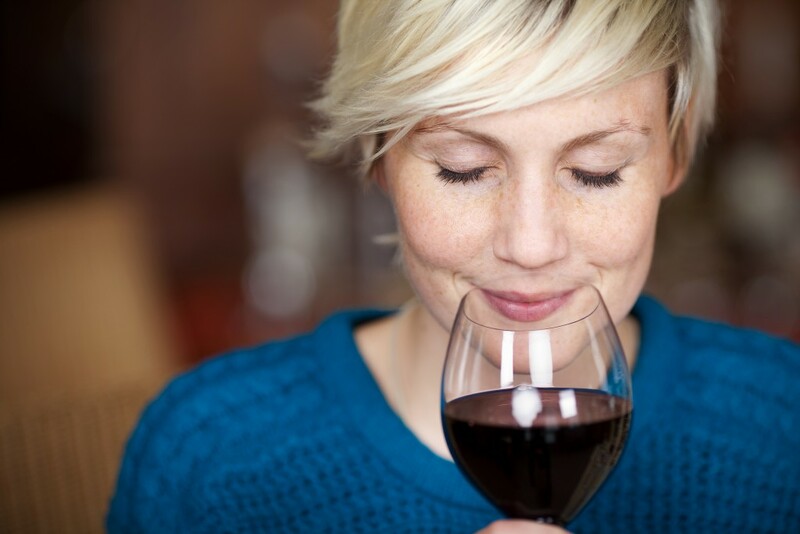 Wow!” “It’s always a nail-biter to discover the winner from a field of so many spectacular entries,” according to Wine Competition Director Debra Del Fiorentino. Only wines rating 90+ points were awarded gold medals and were eligible to move on to the ‘Best Of’ Category. “Our criteria is to only announce gold medal winners and above. This enables us to keep the prestige level high in this exclusive and wine judging,” added Del Fiorentino. All gold medal winners were featured in the Sonoma Feast section of The Press Democrat on Wednesday, April 20. Daryl Groom’s expertise includes serving as wine judge in more than 150 wine shows across the United States, and he has made many award-winning wines in California’s North Coast and his native Australia. He was named Winemaker of the Year by eight publications, including the San Francisco Chronicle and Los Angeles Times. The Press Democrat will subsequently host a trade and public tasting of North Coast Wine Challenge gold medal winners on May 15, 2016 from 1:00 p.m. – 4:00 p.m. at the Sonoma Mountain Village Event Center in Rohnert Park. Tickets and information are available at NorthCoastWineEvent.com. Guests may taste wines paired with delicious food bites prepared by iconic North Bay chefs. “From the start of this competition four years ago we talked about a first class, quality experience for all involved and we not only met, but exceeded those expectations!,” said Steve Falk, CEO of Sonoma Media Investments, owners of The Press Democrat. For more details about the tasting, contact Ginger Hopkins, Events and Sponsorships Manager for The Press Democrat (see contact information above) or visit NorthCoastWineEvent.com for full details. Award winners will be posted at NorthCoastWineChallenge.com, NorthCoastWineEvent.com, winecompetitions.com, vwmmedia.com, and pressdemocrat.com. Judging event sponsors include Penta Water, Wine Country Shipping, Alsco, Graber Olives, Sonoma Wine Country Hilton, Costeaux French Bakery, Sonoma Cider, Chris’s Stuff, Pasta Sonoma, Bottle Barn, Traditional Medicinals, Guayaki Yerba Mate, G&G Supermarkets, Sonoma Spice Queen, Sungo, Govino, Mycopia Mushrooms, Mezzetta, Comet Corn, Bella Rosa Coffee Company, North Coast by Manzana, Lagunitas Brewing Company, Wine Country Chocolates, Mateo Granados, and Pamela’s. 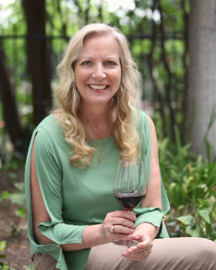 Based in Santa Rosa, Calif., Vineyard & Winery Management is an independently owned and operated multimedia company that produces a leading international wine trade publication, conferences, and wine competitions. See vwmmedia.com for more information. Based in Santa Rosa, Calif., The Press Democrat is the North Bay’s most-read provider of up-to-the-minute local news. It is a recognized leader in the development of highly effective integrated media solutions for its business clients. The Press Democrat is owned by Sonoma Media Investments LLC, a multimedia company that provides world-class local news, information and entertainment to audiences throughout San Francisco’s North Bay. See pressdemocrat.com for more information.